Jennifer Pierce’s debut romantic suspense, Hidden Danger, is raking in great reviews on amazon. 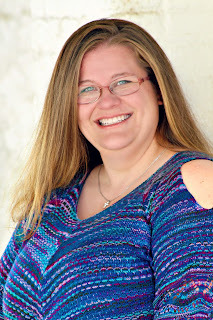 I had the opportunity to chat with Jennifer about writerly things including her just released follow up Expecting Danger. I know you’re a paralegal by day, has your experiences in the legal field informed you writing in any way? Not really. We don’t handle criminal cases so all of the information relating to crimes and policing I’ve had to research. My addiction to #LivePD and other cop related shows has helped the most in that area. I’ve also done a couple Citizen’s Academy in my area that have helped a lot. “Bad boys, bad boys, whatcha gonna do? Whatcha gonna do when they come for you.” Sorry, I loved cop shows back in the day! Speaking of things we appreciate, what is your favorite aspect of writing? I love being creative, putting a story on paper and sharing with the world. What is your least favorite aspect of writing? Commas. Anything grammar related actually. My French grade in high school was always better than my English grade, if that tells you anything. LOL! Some people dream of falling forever or drowning, we writers have nightmares of being chased by misplaced commas. Another aspect of a writer’s life that has been a hot topic in the twitterverse as of late, are writing rooms. Do you have a certain place where you write? After I sold Hidden Danger, I got a desk and set it up to write. I’m sad to say, it’s currently being used to hold clothes and other miscellaneous things. I’ve found that I’m able to concentrate and write better on my lunch break. I don’t know if it’s because there’s nothing there to distract me or what. I actually write in a notebook when I write and then type it into a word document while watching TV with the kids. Kate and Jake good together. You nailed it! Great job! Sounds intriguing. I’ve read in other interviews you’ve given that you are a pantser and not a plotter? Did that make writing a sequel (of sorts) more challenging? I really didn’t have much trouble writing Expecting Danger other than trying to remember names and details from Hidden Danger, which I think even plotters have to deal with. I’m currently working on the third in the series and am having all kinds of trouble now. Pantsting worked for the first 15,000 words but the remaining 40,000 is causing me troubles. 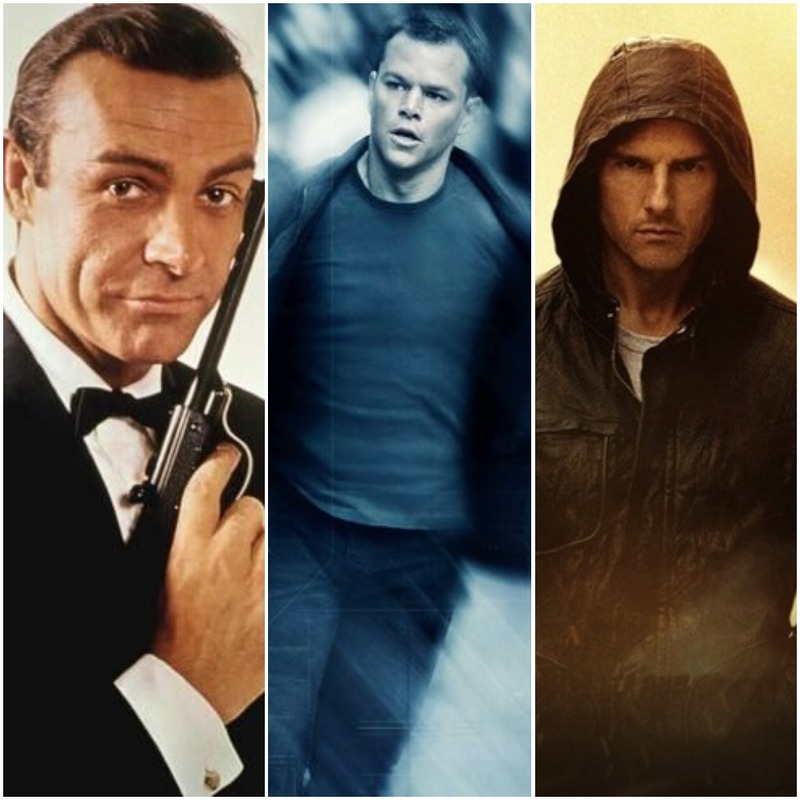 Without spoiling anything, what scene are you most proud of in Expecting Danger? The second is the final scene. A friend of mine told me it made her cry. If you can make a reader laugh and cry in the same novel, I think you’ve done your job. 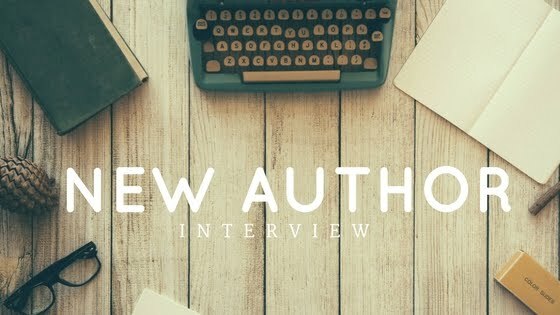 Do you have any advice for any new or young writers out there? Don’t give up. Keep writing. 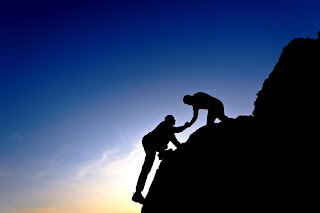 Find other writers and get connected, you’ll be surprised the things you can learn from them. Final question and my inner geek demands I ask this. Did you know that Jennifer Pierce is the secret identity of a DC Comics superhero? If you could have any superpower, what would it be and why? I didn’t know that until I started Googling myself looking for reviews on Hidden Danger. My uncle owns a comic book store and is probably disappointed in me. I’ve failed the family. I think I’d want super speed. I like to sleep. I could sleep in and still make it to work on time. Plus, it’s wintertime so if I had super speed that would be less time I’d have to be outside freezing. Super speed would be awesome! Thanks for joining me today. 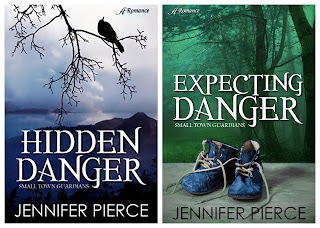 Read on for more about Jennifer Pierce. 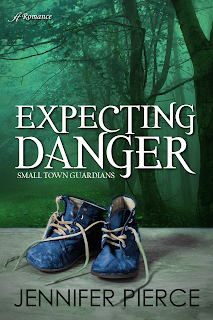 Check out Expecting Danger by clicking on the cover. 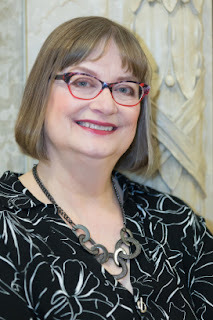 In the swirling snow of the Great White North, there exists an author so earnest, talented and kind that I’m sure her debut novel, Northern Deception, will be a hit. Fortunately, I had an opportunity to chat with Laurie Wood where we discussed polar bears, her writing process and the demise of Nickelback. Alright, Laurie, let’s get this thing started. What is your deepest darkest secret? Just kidding! Did you always want to be a writer or was there some other dream that led to this one? My deepest darkest secret is that my favorite story when I was a child was Peter Pan, and I always imagined myself as Peter, fighting the pirates and leading the Lost Boys. No being Wendy for me, sewing on buttons and telling bedtime stories! Still, I’ve always wanted to be a writer. Always. I went to college and took what we call in Canada “Radio and Television Arts” (although I really wanted to go to university to become a journalist) and there was a lot of writing involved in that program. I didn’t have the luxury of going to university and had to support myself, so life got in the way and writing fiction became just a dream. Later, when I was married and home with our two children, I took up that dream again and wrote a couple of novels. They were “practice” novels, like everyone does and I loved writing them. 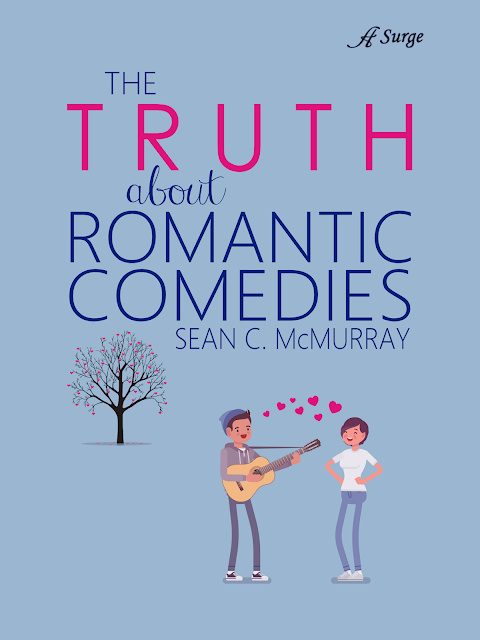 And then I wrote this book which began as just a first chapter and synopsis for a contest and I banged that off in a day and threw it into the contest. And here we are—it’s the book which I finally sold. Cool! What is your favorite aspect of writing? There are two things I love about writing. I love creating my characters and their world. Ideas usually come to me in pieces. I might get a glimpse of a character and his/her issues or them in a particular setting. And the other thing I absolutely love about writing is doing the research necessary to bring the piece alive. Because there’s nothing I hate more than reading a book that’s so generic you can tell the writer did nothing to research anything about the setting or who the characters are—I want my readers to learn something from my books and I want them to come away feeling like they spent time with real people. I usually have to tell myself to stop researching because you can go down rabbit holes and waste time. But then, you can always use those tidbits in another story, or take those ideas and use them somewhere else. I’ve often heard authors refer to researching for a novel as a “necessary evil.” It’s interesting that you think the opposite. What then, is your least favorite aspect of writing? I suppose those days when the words just seem to be all drivel and have no spark. We all have those times when everything we write seems wooden and trite and our story seems like the worst thing we’ve ever done. For me, that’s around the middle to the three-quarter mark. I’m a “plotter” so I’ll have outlined and I know where I’m going with my characters and where the story should be going, but still, it can feel like you’ve just spent the day writing “the quick brown fox jumped over the lazy dog” about three thousand times. On that note, do you have a specific writing routine? No. Surprise! 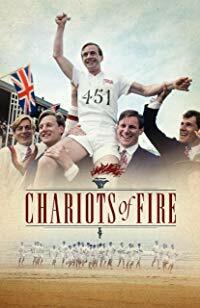 I wish I could say I have a favorite Starbucks, or I only write to “Ride of the Valkyries”, or I have to light a patchouli candle, but the truth is—I’m at my best between 10 a.m. and 2 p.m. and I’d better get myself in my chair at the dining table and get writing! I try to get chores and other things done on either end of those hours so I’m available to my adult children when they get home from work (they have special needs), and also to just use my brain when it’s at its most creative. But as to having a specific routine, I guess I’m pretty boring! I have taken my laptop and written in a nearby Starbucks a couple of times when I was on deadline and had to work Saturdays though because when everyone’s home, our house is too small to work with everyone ploughing in and out of the dining room. I would guess that most writing routines aren’t exactly thrilling so boring is just fine, except in answering this next question. Using the most beautiful prose you can muster and without using the word “the”, tell us a little about Northern Deception. Just kidding, all words are fair game. 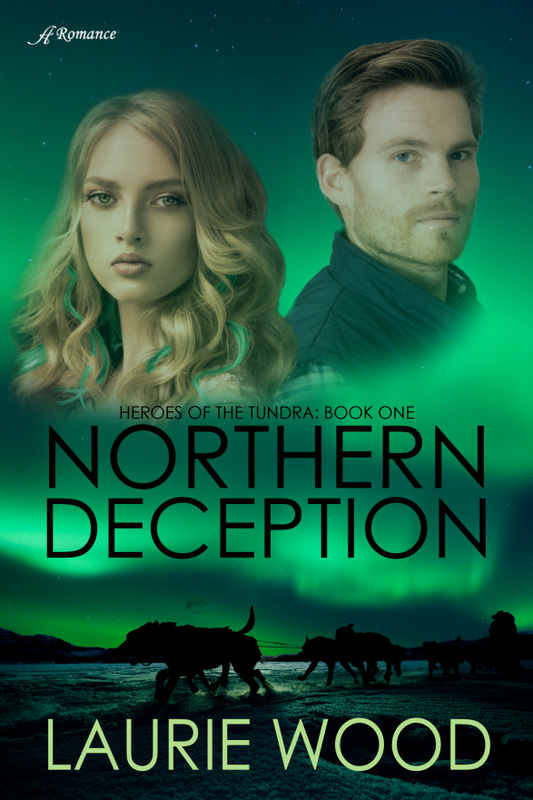 Northern Deception was written for a contest originally and it was looking for stories about Canadian heroes. They could be in any job, anywhere in Canada or living outside of Canada, but they had to be Canadian. I thought this was a fabulous challenge! I’d never written from the male point of view before. Then on the news, we saw one of those Jumbotron proposals where the poor guy went down on one knee, and the girl just threw her hands up and ran out of the stands, leaving him high and dry. I felt so sorry for him! Most writers go into “what if?” mode, and I combined that aspect of “what if a girl ran out on a marriage proposal without explaining why?” with “what if she had a horrible secret?” and “what if they both found each other years later in Canada’s far north?” and then once we’d been to our local zoo to see our wonderful polar bear exhibit with polar bears that’ve been rescued from Churchill, Manitoba, it all clicked together. Boom! Both characters had a reason to be in the far north, and once I came up with her horrible secret, the story ran on from there. Intriguing! Without spoiling anything, what is your favorite scene in Northern Deception? I’d have to say both where Kira meets Lukas’s little girl for the first time, and the ending. I wrote the ending so many ways; it was hard. I wanted it to be perfect. Not mushy or overdone. I modeled it on my husband’s proposal to me, although we didn’t have a toddler interrupting the proceedings! Polar Bears are probably my favorite species of bear, besides gummy bears, and I know that they are featured prominently in Northern Deception, how much research went to accurately portraying them? Since you like researching, I’m going to guess a lot. I did a TON of research, and it was all enjoyable. I got verified facts, and some written studies from our own Assiniboine Park Zoo here in Winnipeg where we have six rescued polar bears who were either orphaned up north or who didn’t do well in human/bear encounters and needed to be relocated. And I reached out to Polar Bear International as well. One of the fun things I was able to do on my website and with my newsletter subscribers in mid-October into November was to hook up with the link to the Polar Bear webcam that goes live in Churchill. 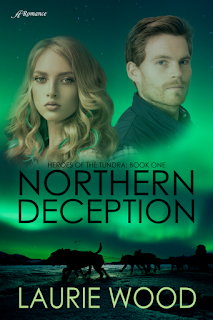 You can watch them on the tundra, and as that’s the same time period I set Northern Deception in, I think that garnered a lot of interest in the book. Do you have any advice for any new or young writers out there? Yes! Take some respected writing classes either online or through your local college. Learn your craft. 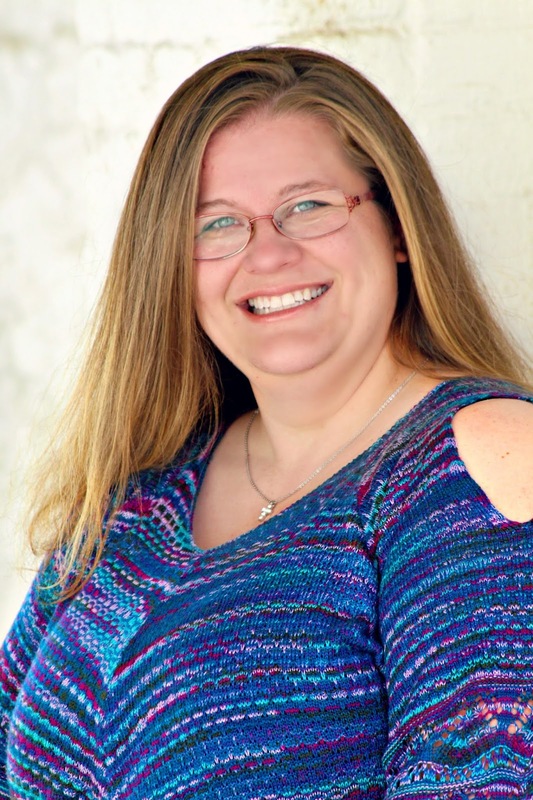 There are writing associations out there like American Christian Fiction Writers, Romance Writers of America, and they run writing courses. You can Google great writing teachers like Michael Hauge, K.M. Weiland, Margie Lawson, Laura Drake, for a few names, and they all teach writing courses online. Put money into learning how to write and don’t just throw your first efforts up for sale on Amazon or at a publisher. Writing takes practice and we’re all learning with every book we write. It’s a wonderful journey and we will never reach our final destination. I think that’s the fun of it! Final question and I’d be remiss if I didn’t ask this. How do you and your fellow Canadians feel about the rock band Nickelback. I ask because here in the States, they went from being cool to a comment section punchline and I’m not sure why. I’m a HUGE Nickelback fan! Love them, love them, love them, although I’m not a fan of how Chad treated his wife Avril when she came down with Lyme disease and their marriage fell apart. However, how did they go from being “cool” to being a “punchline” is easy—the muck and mire of social media. They’re a perfect example of how a mob can form on social media and gossip takes off and before you know it, a career is tanked. James 3:6 tells us: “And among all the parts of the body, the tongue is a flame of fire. It is a whole world of wickedness, corrupting your entire body. It can set your whole life on fire, for it is set on fire by hell itself.” We all know that what goes out on social media is out there forever. Even we Christians need to remind ourselves of that from time to time. And not just about social media, but in our daily interactions with each other. Gossip will kill a church faster than anything. But, the short answer to your question is: Canadians love our boys from Alberta and social media mobbing is what killed off their career. And I always felt sorry about it. I appreciate the wisdom and it’s good to hear that Nickelback still has some support out there. I’ve enjoyed this interview immensely. Thanks for joining me. Thanks so much for hosting me today, Sean, and for putting a little twist on your questions! Find out more about Laurie and Northern Deception below. Self-proclaimed social scientist Rachel Wilson hasn’t reconciled herself to her mother’s cancer, but she’s doing her best to stay positive...and distracted. With his dry wit and easy acceptance of her bright blue hair, Timothy might be the answer to a prayer Rachel hasn’t had the strength to ask. Joseph Redgrave slid into a booth at the 495 Truck Stop, grabbed a menu and vacantly stared at it for a few minutes. A truck stop wasn’t his typical hangout. The smell of burnt bacon grease and stale cigarettes wasn’t something that appealed to him. But it was the only place open and better yet, no one even deigned a glance in his direction when he walked in. A potbellied man in a corner booth lit a cigarette then punched in a number on his cell-phone. Joseph’s attention shifted from the man to a no-smoking sign posted on the wall a few feet away from the man’s booth before shifting back to the man. As he pulled in a drag, the end of the man’s cigarette lit up orange, calling to mind the glow of rocket exhaust from the archival footage of the Apollo missions Joseph watched again and again when he was a kid. Joseph’s stomach knotted up. Did those Apollo guys get this nervous before they launched? Joseph snapped his attention away from the man’s cigarette. A young woman with olive skin, dark eyes, and long hair pulled back into ponytail stood at the edge of his table, holding a steaming pot of coffee. If Joseph were to venture a guess, the waitress was of Puerto Rican decent and probably 18 or 19 years old. Twenty at the most. “It’s fresh,” she said with an awkward smile. Besides the alcohol, none of those things were on the prohibited list. The rest of the crew were massive coffee drinkers, but he’d never acquired the taste despite his lifelong propensity to rise early and work late into the night. When Joseph had read those words initially, he’d felt a sense of relief as they confirmed something he’s always suspected about himself, but just hours before the launch they were threatening to become something else, a chain holding him to the earth. He’d mastered everything he’d ever tried to do and soon would master space travel, yet a sense of failure lurked at the edges of his mind. He had tried to attach himself to others, but he could never maintain the grip. People were just too slippery. The young waitress returned with a cup of water and crushed ice. She placed the glass on the table. “Do you know what you want to order?” she asked. She gestured to a smudgy whiteboard located near the entrance that still listed yesterday’s special; fish and chips. Luck had nothing to do with it. Every diner, truck stop or small-town café within a fifty-mile radius of Cape Canaveral would run the same special today. Steak and Eggs was a NASA tradition going back to when they first strapped Alan Shepherd to a 5-ton missile and launched him into space. It didn’t matter. He probably wasn’t going to touch his meal. “Surprise me.” He folded the menu and extended it to the young woman. Maria’s accent was unique as if it had a slight north-eastern flavor. It reminded him of his college roommate’s accent. Reggie was from New York. Maria disappeared into the kitchen and Joseph peered out at the window. Trucks buzzed by on I-95, the roar of the diesel engines still audible over a country crooner cooing from an old jukebox. The endless parade of headlights sparked the memory of the first time he’d climbed into the kiddie version of NASA’s G-Force training centrifuge. Attached to the end of a metal arm, the machine spun him so fast that the ceiling lights stretched into a single line. He’d went the fastest and lasted the longest, his heart swelling with pride as he recounted the accomplishment to his father during the ride home from Space Camp. Of course, he left out how he fainted and woke up covered in vomit, but that would’ve made little difference anyway. His father was proud. Joseph could still feel the touch of his father’s calloused hand as he tussled his hair. What would his father think now? Would he still be proud? Or would he be sad that his son was leaving Earth forever? It doesn’t matter, Joseph thought, because he’s dead. Joseph closed his eyes and pushed down the ache bubbling up inside. Time didn’t heal all wounds. Joseph opened his eyes. Maria stood at side of the booth, tiny notepad in hand. That’s how Joseph felt about the planet. “Yet here we are,” she said. Her eyes narrowed and Joseph felt a sting of panic at the thought that he’d blown his anonymity. Maria shrugged. The potbellied trucker lit up another cigarette. Maria glanced over, a mixture of frustration and something else, helplessness maybe, swept across her countenance as the smell of his cigarette smoke quickly filtered throughout the dining area. “You don’t like him smoking in here, do you?” Joseph asked. “We still have ash trays which means the owners don’t care so it doesn’t matter what I think. Even if…” She drew her lips into a line and brought her left hand to her stomach. Maria crinkled her brow. Obviously she didn’t get the reference. This time it was a lucky guess, or a lucky hypothesis. Maria could’ve just been afraid of the dangers of second hand smoke. Joseph tipped his glass of water in acknowledgment then took a drink. At least she did, for the moment. As Maria retrieved Joseph’s order, a group of bikers walked in. They occupied an entire wall of booths. One of them cast a long glance of recognition in Joseph’s direction, then nodded. Joseph nodded back. His anonymity here wouldn’t last for long. Maria placed Joseph’s plate of food on the table before him, then topped off his water. “You need anything else?” she asked. Just as Maria ventured over to take the bikers’ orders, a Florida State Police officer and a Military Police-woman entered the truck stop restaurant. Joseph sighed and reached for his wallet. The pair approached him. “I’m surprised it took you this long,” he said without looking up. “Are you aware that you are in violation of launch procedure protocol,” the military policewoman said. “Well I think you’ve done that enough,” she replied. The state patrolman pulled a pen from a front breast pocket and handed it to Joseph. “Thanks, kindly.” Joseph pulled the rest of the cash out of his wallet and placed it on the table. It was a large sum, but he wouldn’t need it anymore anyway. Joseph flipped over the bill and quickly scribed a note on the back before placing it on top of the cash. The military policewoman tapped her foot impatiently. Maria, seemingly frozen in place, stared at him with curious disbelief. Without another word, the spaceman exited the truck stop. The Uber waited for Maria at the back of the parking lot. She climbed into the backseat, her feet aching from a long night of work and her stomach in knots. 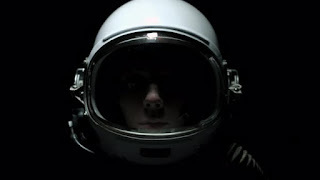 The disbelief about her encounter with the spaceman had faded, replaced with the heaviness her upcoming appointment deserved. The driver paid her little attention. 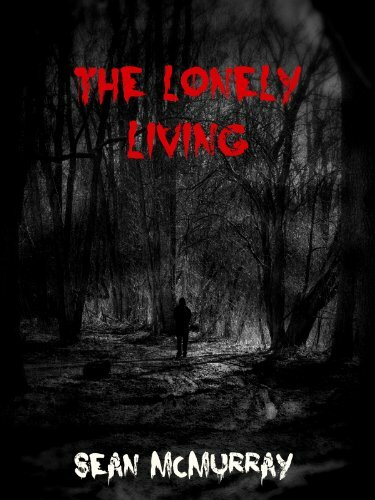 Gripping his steering wheel, he leaned forward to peer at something though the windshield. The driver reached over and turned up the radio. Her knee bouncing with nervousness, Maria glanced up from her phone. A bright light flashed across the horizon, like a firecracker bursting in the distance, followed by a streak of exhaust. Maria watched the streak of exhaust for a moment longer, transfixed by it. At the mention of her appointment, she snapped back to reality. The man put the car into gear and pulled away. Maria, gazed at the streak of exhaust spiraling upward, pressing against the rim of a beautiful blue sky for as long as she could, the words of the Spaceman’s message lingering in her mind until they compelled and abrupt shift inside her. Maria peered into her purse. The wad of money wrapped in the spaceman’s receipt was more than enough. Maria smiled back then reached for her phone. Biting down on the corner of her lip, she called a number she hadn’t in over a year.